Interpersonal Interactions: Students are expected to respect one another and to be sensitive in their interpersonal interactions to the individual differences in race, religion, ethnic origin, gender, sexual orientation, and disability. Hygiene and Personal Grooming: Students are expected to come to class wearing clean clothes, to have an odor free body, and to adhere to the VHC dress code when serving their clinic duties. Classroom Tardiness: Tardiness is unprofessional. Students are expected to be on time for class. In the rare case when extenuating circumstances make lateness unavoidable, students are expected to enter quietly and to take the closest available seat. Classroom Conduct: Students are expected to treat all instructors with due respect and courtesy and to attend to the classroom activity. Sign up sheets for extracurricular activities should be passed around between lecture classes or posted in the labs. Students are expected to be aware that talking and other noisy behavior during class is rude and disruptive to the instructor and to other students and that they should avoid rude and disruptive behavior. Leaving Class Early: Students are expected to stay in class for the entire period except when unusual extenuating circumstances require them to leave early. In these cases, professional courtesy dictates that advance notice is given to the instructor. Attending Class: Chronic absenteeism is unprofessional. Students are held responsible for all information and material given in class and will not receive individual instruction for missed classes except in documented cases of illness or other unusual extenuating circumstances. Use of Tobacco: Smoking and tobacco chewing is prohibited in College of Veterinary Medicine classrooms, laboratories, clinical treatment areas, animal examination rooms and vehicles including field service units as well as on client farms. Proper Respect for Teaching Animals: The use of teaching animals in the College of Veterinary Medicine is a privilege. Veterinary Medical students are expected to conduct themselves in a mature, professional and ethical manner when handling teaching animals, cadavers, or portions of cadavers. Handling of live teaching animals should be exercised in ways that are intended to avoid inflicting pain whenever possible, to protect animal health and safety, and to minimize stress. Cadavers or portions of cadavers should be treated as though the animal had previously been your cherished companion. 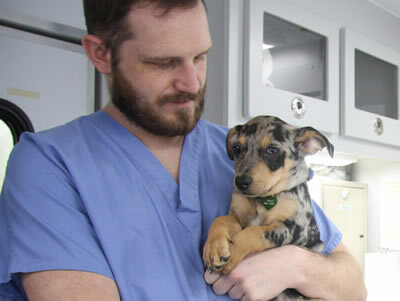 All teaching animals are deserving or respect for the contribution they make to veterinary medical student education. All photography or videotaping of live or dead animals in the college must be approved and supervised by faculty responsible for the animals or by college administrators to ensure that owners have provided a release for pictures of privately owned animals and that all animals are depicted in a respectful manner.